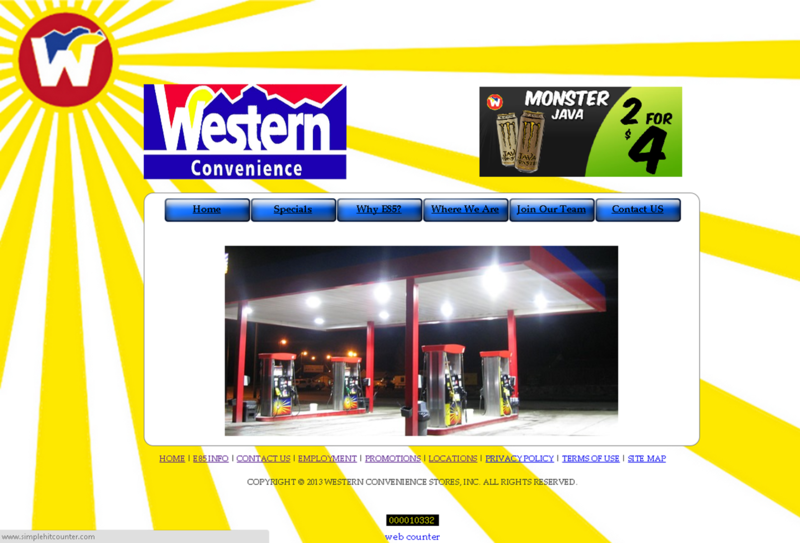 Western Convenience Stores came to us in the fall of 2014 with a set of challenges they needed help solving. They'd been avoiding a true commitment into the digital world for too long. They'd never had success with their digital marketing efforts, relying on traditional advertising efforts to drive awareness and in-store purchases. We set out to evaluate their existing assets and it didn't take long to realize there was a lot of work to do for this website redesign. 1. Their branding was terrible. I'll support that bold statement with a screen shot of their home page at the time of evaluation. Their brand assets were pixelated, contained different fonts, pan tones didn't match, and the list went on. Before we could move forward on any level we had to address their identity issues. 2. Their digital presence was weak. They had a variety of individual location pages on Facebook, but no corporate account. None of their social channels were being tended to on a regular basis. 3. Their website didn't render for mobile. Over 40% of their traffic was from a mobile device, and their bounce rate was over 88%. 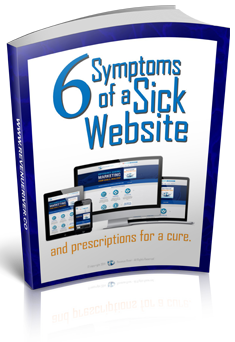 Nearly 9 out of 10 mobile visitors left the site immediately. Their desktop view wasn't much better, featuring a hideous design and terrible functionality. We knew this project needed to be centered around the need to solve for the customer. While our 'customer' was Western, we wouldn't solve for them unless we were able to solve for their customers. Through our research, we found that typical convenience store visitors aren't very different than modern online shoppers in the Age of the Customer. They have the same basic needs for their local corner store as they have when they go online. Consumers want to find what they're looking for quickly and easily and get the best deal they can get while shopping with confidence at a trusted vendor. Convenience is a life goal for many, not just in their morning convenience store stop. We'd take it a bit further, believing the entire digital world exists for convenience.Their website needed to be the cornerstone of their digital presence. It needed to be easy to navigate, feature the right resources, and load quickly. Who doesn't like to feel like they got a deal? Everyone loves to feel like they got a deal. Convenience stores are really just distribution retailers, primarily selling inventory they buy from a variety of brands and manufacturers. We believed Western was missing out on an opportunity to cross-promote with their vendors. That by leveraging their vendors they could generate great deals for their customers. We would develop a strategy for for product promotions and promote a reward program to drive awareness, traffic, and brand loyalty. We knew that a strong brand identity instills confidence with consumers. We knew they would grow their foot traffic if we could increase their brand identity and build trust. People frequent businesses they can depend on to provide a consistent service and when people know what to expect from a brand they’ll return. According to a Gallup business journal article, The Power of Aligning Consumers With Your Brand, Consumers want to walk into a store, go online, or contact a customer care center and have the experience they were promised. 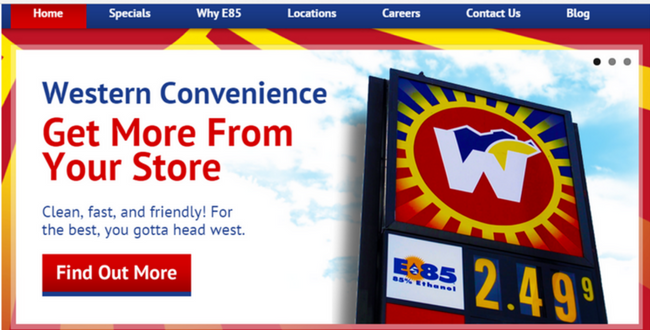 We knew this was a big challenge for Western, and we were set on improving their brand identity. 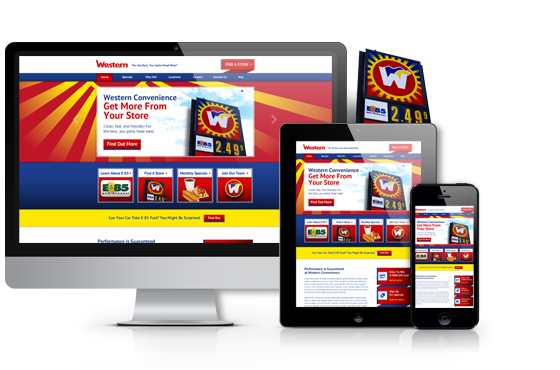 When the website launched, it became immediately evident that our strategy was going to produce significant results. As our connected online marketing strategy drove awareness and increased their relevance, the metrics began to lift. They attracted more website visitors in the first two and a half months than the first eight and a half months prior to launching. We'd engineered their website with the latest SEO strategies, helping them get found on search engines. At the 5-month mark they had 5 targeted keywords in the top 10 organic search results. They had no significant rankings for any of these keywords before the site launched. It's amazing how being a part of the conversation leads to more opportunities. 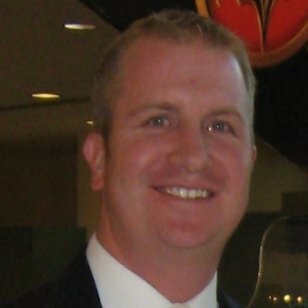 Converting all that new traffic into new contacts for their database was another critical element to Western's success. The ability to market to their customers and keep them abreast of the latest deals was a big part of the value proposition. Our promotional strategy based on the premise that people wanted deals turned out to be a huge factor. While their website had only a single (broken) form on their contact page before, the new site featured all kinds of conversion paths. The 24% conversion rate was achieved by featuring some great deals in easy-to-claim offers behind custom forms that captured just the right amount of data. 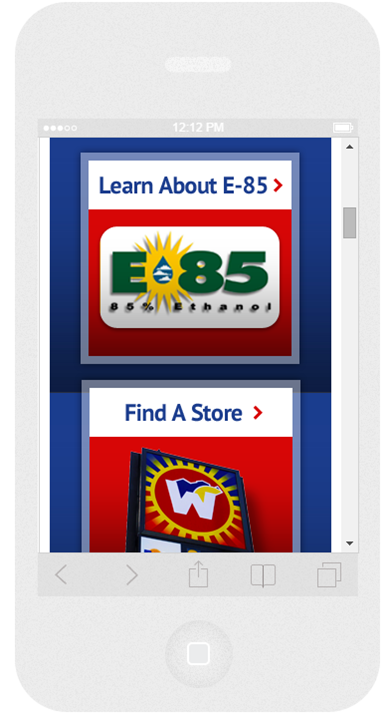 It's hard to believe that a location-oriented business serving mobile consumers didn't have a website built to serve them properly. When we launched the new site and extended their reach on social media the results were fantastic, further proving our research and strategy development were sound. With their enhanced digital foundation in place, Western was afforded additional opportunity to benefit. Their ability to present themselves professionally in the digital world enabled them to grow beyond the website metrics. Viral cross-pollination of fan bases –leveraging vendor relationships and social communities to cross pollinate promotional efforts and extend reach to new audiences. At Revenue River we believe organization's websites must be the cornerstone of their digital marketing strategy. To compete in today's world, and satisfy today's educated consumers, our websites much serve a greater purpose than that of a simple brochure. If you're not realizing the organizational value that can be had with this level of web marketing, you can change your fate. The 2nd best time to plant that tree is today.